What Is a Proper High School Graduation Gift for a Friend? It is such a blessing when someone unexpectedly takes us out to lunch. Of course you want to do something nice in return, but buying the person who treated you to lunch a gift seems excessive. A proper way to show your appreciation is to send them a thank you note. Do not wait too long after you lunch together to send the note. It should be sent as quickly as possible. 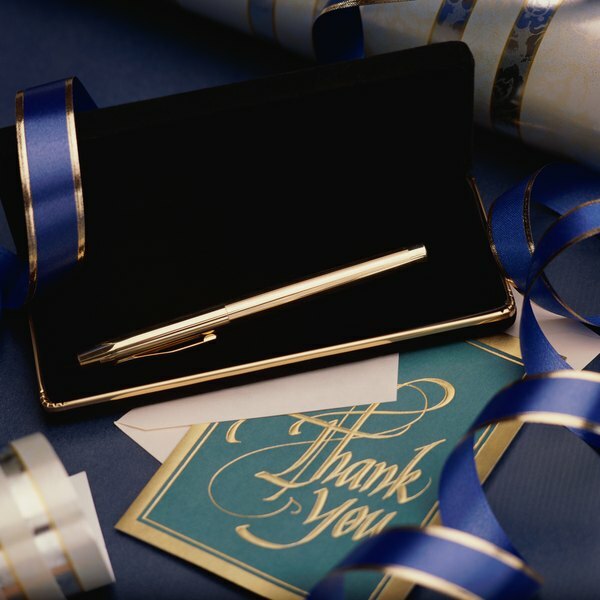 Write an old-fashioned thank you note using pen and paper. Mail it through "snail mail" and surprise the nice person who took you to lunch with your thank you note. Prepare your thank you note for lunch within a couple of days. Allow time for mailing out the note to the receiver. Buy a nice thank you card that fits your friend’s personality. Try not to use a generic thank you card. Show your friend you put some thought and effort into picking out just the right card. Choose an appropriate greeting. Use “Dear” if it is appropriate or use “Hi” or “Hello” for a more informal greeting. Think about what you want to write. Take time to do this before actually writing on the card. 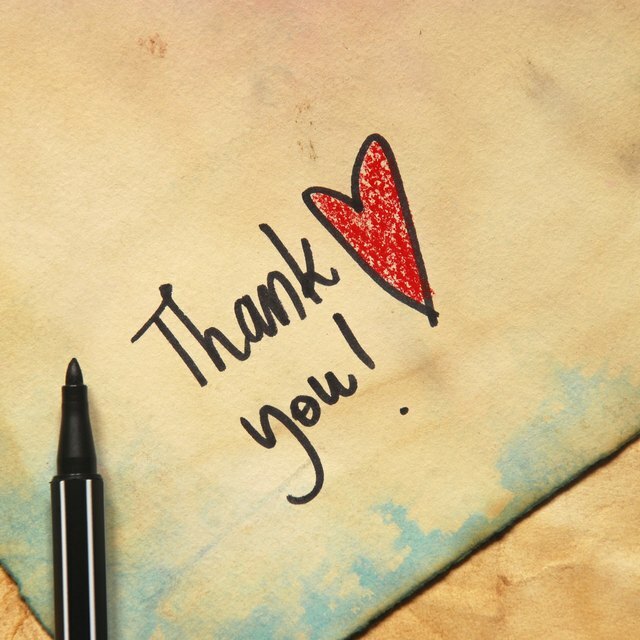 Write out your thank you note on scrap paper if you desire to make sure it turns out perfectly. Write out your thank you note. Tell your lunch companion how much you appreciated the meal. Make sure to tell them how much you enjoyed spending time together, which is the most important part of the special lunch date. Mention if the restaurant was one of your favorites or if one of the menu choices was particularly excellent. Offer to take them out to lunch sometime in the future as a treat to them. Read the note over. Make sure the recipient will feel special when she reads it. Make her feel good and put a smile on her face. Check again for errors and missing words. Insert the note into the envelope. Affix a stamp and a self-addressed label in the proper places. Send the thank you note for your special lunch. Keep a bunch of different, but personal, thank you notes on hand. This way whenever someone does something nice for you, you can respond with thanks quickly and not have to wait until you get to the store, which may be a while.